It’s that time of year again everyone! 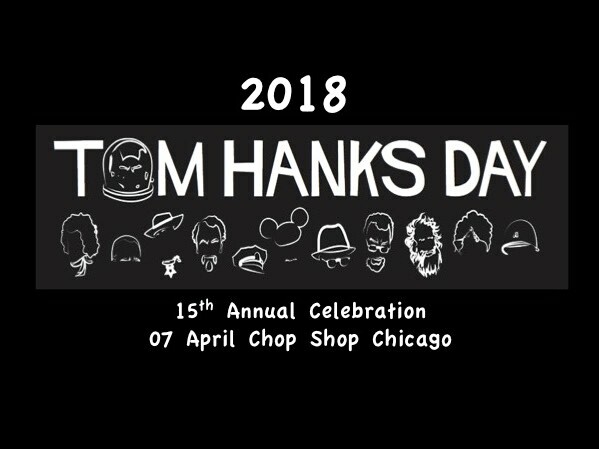 The annual International Tom Hanks Day celebrations kick-off at noon on Saturday 07 April at Chicago’s Chop Shop. This is a new venue, enabling the day to be bigger, better and more awesome than ever before. 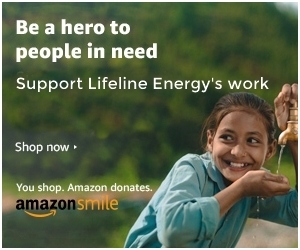 A $10 donation to Lifeline Energy welcomes you in the door. You’ll be able to watch clips from lots of TH movies, listen to great music, dance (if you want to), drink special cocktails and get a chance to win autographed Tom Hanks memorabilia. Every year Tom outdoes himself with fun items. The raffle begins between 3:30 and 4:00 pm, so get there early to enjoy all that Tom Hanks Day has to offer! You can find out more and learn how you can host your own International (yes, anywhere in the world!) Tom Hanks Day event by clicking on the the THD website thetomhanksday.com or the International Tom Hanks Day Facebook page. The organizers have even secured a hotel block for out-of-town guests at The Robey Hotel (www.therobey.com) in Wicker Park. Enter the coupon code ‘CHOPSHOP’ at checkout to receive a 15% discount on your stay. Check out last year’s event and be sure to watch the video that Tom sent last year below. Tom Hanks Day 2017 – A raging success! 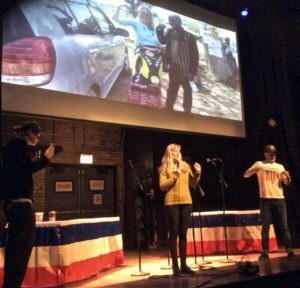 More than 450 fans packed Chicago’s Lincoln Hall for 14th annual #TomHanksDay on April Fools Day in 2017. Tom Hanks for President posters covered the walls. Many who came wore Tom Hanks t-shirts or hats, and everyone had the Tom Hanks spirit. 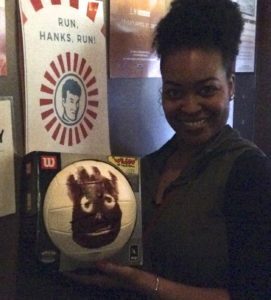 Revellers bought tickets for a chance to take home signed Tom movie memorabilia like DVDs, posters, a Wilson volleyball (from Castaway, left) and the grand prize, one his famous typewriters. Megan was won the lucky winner and immediately typed a note to Tom. People dressed up as characters from Tom’s movies like Catch Me If You Can, Forrest Gump, Castaway, and others. The costume contest was won by – who else – Forrest Gump. Snippets from Tom’s many movies entertained throughout the day on a overhead big screen. A local brewery provided the beer. Our Kristine Pearson attended the fun-packed celebration for the first time. She said, “Hearing about Tom Hanks Day and actually being there, well, it was great experience. Everyone was in a jolly mood and super-friendly. It exceeded all my expectations and I had a fabulous time. I can’t actually recall when I laughed out loud that much”. Tom, as always, was incredibly generous, not only with the items he donated, but he tweeted (to his 12.5m followers) and made a happy video (below). Best of all, proceeds went to Lifeline Energy to provide our Lifeplayers to pastoral women in Kenya. Kristine first met Tom Hanks Day co-founders in person in 2016 in Zambia when they came to visit our work. “It was fantastic seeing Kevin and Kellen again and for them to be able to share their experiences in Zambia with the crowd. If I ever have the chance to come again, I wouldn’t miss it.” Kristine added. Tom Hanks is a two-time Academy Award winner and one of the most recognised and respected actors of our time. Watch the delightful video he made!